In 1953, 4×4 enthusiast Mark Smith organized a Jeep Jamboree to trek across an old Sierra Nevada trail called the Rubicon. The following year, Willys, the maker of Jeeps, got involved. 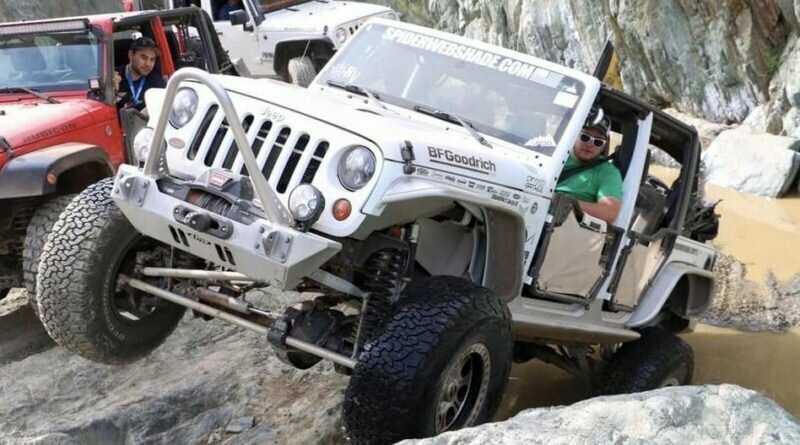 In 2019, more than three dozen multi-day jamborees will be held around the country, with Jeep enthusiasts gathering to follow each other up steep climbs, over boulders and across rivers. One of these jamborees is held in Arizona, and it starts just a few miles from North Phoenix. The 4th annual Table Mesa Jeep Jamboree is scheduled for Feb. 28 to March 2. Registration opens at 3 p.m. this Monday, Dec. 3, with 70 slots available. Trail difficulty varies significantly in the Table Mesa excursion. 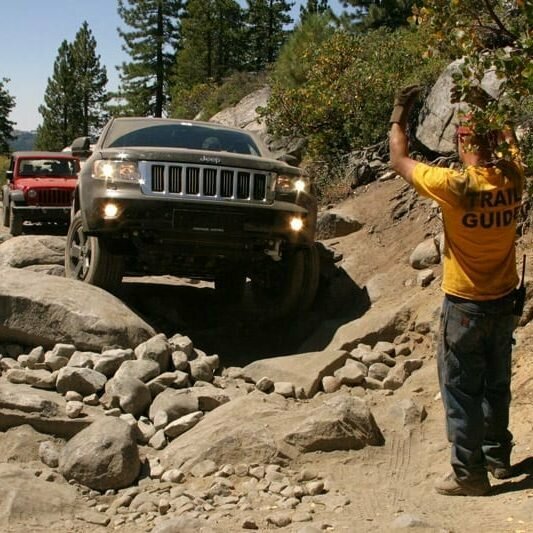 But beginners are welcome, said Shawn Gulling, vice president of Jeep Jamboree USA. 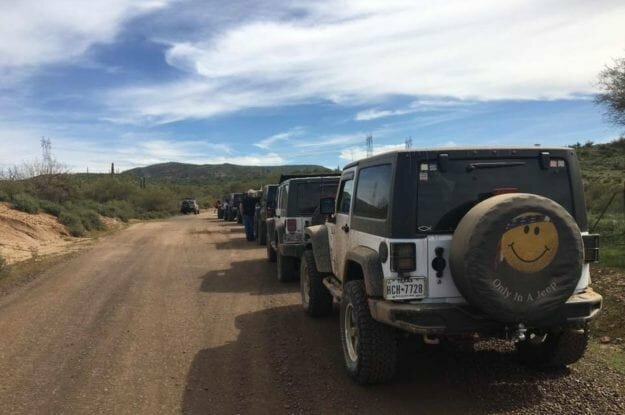 “All of the Jeeps are separated into smaller sub-groups for the trail rides based on experience and Jeep modifications, so the most difficult trails can be avoided by stock vehicles and/or people who might think their experience is not quite there yet,” Gulling told North Phoenix News. Participants get guidance from experts. More than a third of participants each year are typically first-timers. Trail guides “help ensure a fun, safe weekend,” Gulling said. 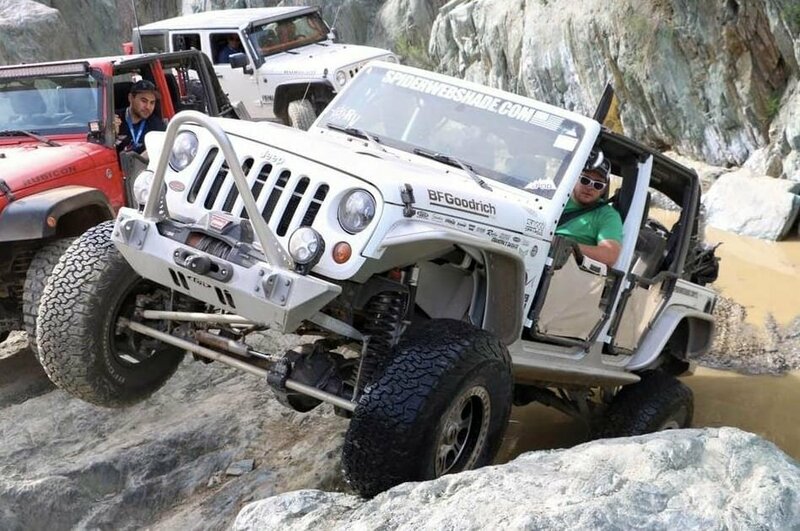 There are strict requirements on the participants’ Jeeps (and yes, only Jeeps are allowed). They include a CB radio and properly mounted front and rear tow points, and a low-range (4-lo) transfer case. Other equipment that’s highly recommended: skid plates and a heavy-duty tow strap. Body lifts are limited to 6 inches, and tires can be no more than 37 inches. You can find more information on the Table Mesa event registration page or the main Jeep Jamboree site. 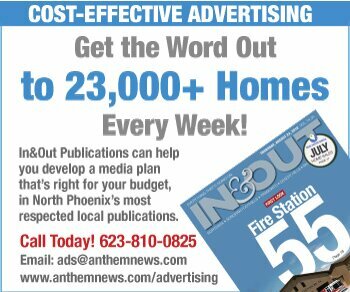 Information on other jamborees nationwide is here. Registration fills quickly for some jamborees, the organizers say. Gulling said it will likely take a few days for the Table Mesa excursion to be fully booked. Prices start at $275 for an individual and $625 for a family. 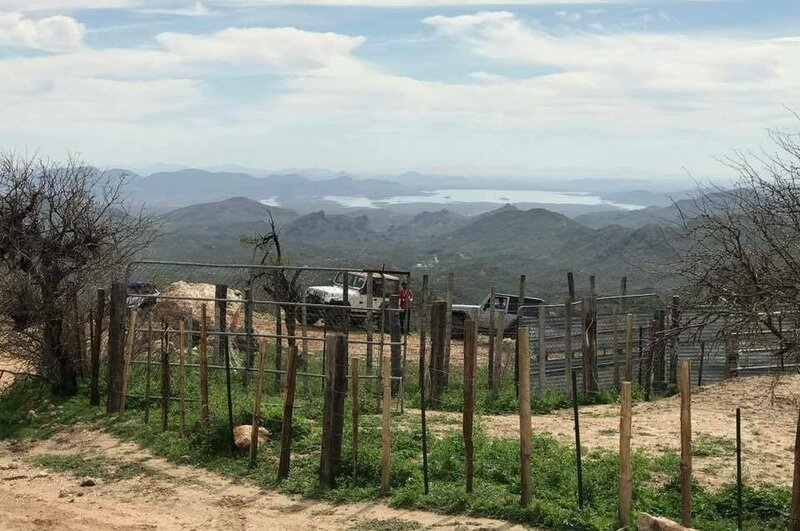 The Table Mesa trek is a group event that welcomes all 4×4 Jeeps. ← Who Decorates the Mystery Tree on I-17 Near Sunset Point?